Parents with careers in science, technology, engineering, and medicine are by no means immune from feeling these pressures. Their jobs are often defined by long hours and an “all or nothing” work ethos. Add on top of that the documented challenges for women in these male-dominated fields, and it may come as no shock that being a mom who works in STEM is difficult. But new research suggests that the industry poses outsize challenges for parents, period. 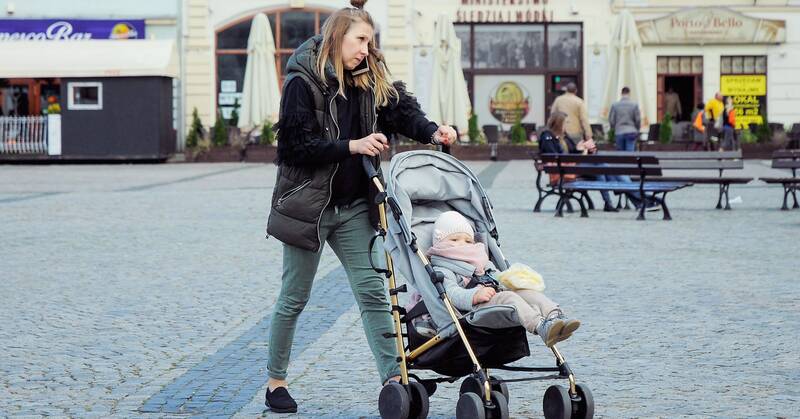 A recent study of STEM workers over an eight-year period shows that 43 percent of women will leave their full-time position after having their first child. That figure jibes with a wealth of data on the gender gap in STEM, but the authors were surprised to find that nearly a quarter of men (23 percent) also leave their full-time STEM jobs after their first child is born. “Men also are encountering these kinds of challenges when they have caregiving responsibilities. So this suggests that the difficulty of childcare responsibilities in a STEM career is not a motherhood problem but is a STEM workforce problem,” says Erin Cech, a sociologist at the University of Michigan and the lead author of the study, which published in this week’s issue of the Proceedings of the National Academy of Science. For parents working in science, tech, engineering, and medicine, Cech says part of what drives them out of full time work or toward other fields is the cultural expectation that they treat their careers as the only thing that matters in their lives. Leaving work promptly at 6 pm to pick up your child from daycare doesn’t align with those cultural expectations. Cech has been studying STEM’s problem retaining women for years. She and her coauthor set out to quantify how big a role motherhood played, so they analyzed nationally representative survey data of workers in STEM from 2003 through 2010, comparing the career outcomes of those who had their first child during that time with those who remained childless. They found that across genders, new parents are far more likely to leave their full-time jobs than their similarly experienced childless peers. Those who leave go in a few different directions, and the destinations differ between mothers and fathers. Fifteen percent of new moms wound up leaving the workforce altogether, for at least a period of time, while 11 percent switched to part-time work within STEM, and 4 percent switched to full-time jobs in a different field. Only 2 percent of men who became fathers transitioned to part-time work, and only 3 percent left the workforce entirely. Most fathers who left chose to pursue full-time work outside of STEM. At that point, she argues it is far more cost-effective for companies to pay for policies that would support these families, things like paid family leave, flexible work hours, and subsidized child care. For me this problem is personal. When my son was born, my spouse was working for Harvard University as a postdoctoral research scientist. The university offered new fathers like him only two weeks of paid leave. I was in the hospital nearly a week after the birth, so that amount of time was hardly enough for him to provide meaningful support. He ended up working out an informal leave with his boss, who allowed him to work fewer hours and take many weeks off, so long as when he returned he got his work done. We were incredibly grateful for this as a family. Tech companies like Microsoft, Facebook, and Google are well-known for their generous paid leave programs and other family-friendly perks, which they use to attract and retain the most skilled workers, but such policies are not the norm in the US. Other STEM employers like research universities, engineering firms, and hospitals can have benefit packages that run the gamut from great to abysmal. And even at companies with the plushest perks, workers who are on contract or hired through third parties can be left out. The kind of informal leave my husband took is common in STEM jobs that don’t have good institutional support, says Cech, but they pose huge problems. For one thing, they require a worker to have a good relationship with their boss and to even feel comfortable asking for an informal flexible arrangement. Another problem is that they are invisible on the books, which can leave employees vulnerable and companies in the dark about the employee’s real needs. This has the side effect of making childcare and family-support feel like a dirty secret, which can contribute to the already strong cultural norms that prevent parents from talking about their family life at work. To get around such stigmas, companies have to foster an environment where workers feel safe using the benefits on offer. That kind of messaging, says Cech, often needs to start at the top—either of the corporate ladder, or government. Alexis Ohanian, cofounder of Reddit and cofounder and managing partner of VC firm Initialized Capital, is leading by example. Since his daughter Olympia with superstar and supermom Serena Williams was born 17 months ago, Ohanian has been on a crusade to promote active fatherhood, and the importance of paternity leave. He took the full 16 weeks of paternity leave that his company offers full-time employees, although not all at once. Certainly it’s anecdotally true in my own life, and not just with the father of my child. All around me I see millennial fathers actively involved in their children’s lives in ways boomer fathers didn’t seem to be. The Pew Research Center says fathers are far more involved now than they were 50 years ago, and that fathers see being a parent as a core part of their identity in a way they didn’t used to. Ohanian sees all of this as part of the millennial generation’s shift toward valuing experiences over things or money. Many fathers are no longer content to just earn money and never see their kids; they want to spend time with them, as well. That kind of shift in thinking could be why so many men in STEM are also leaving their full-time jobs after becoming dads. STEM jobs, traditionally male dominated, are often designed with an ideal employee in mind who has a spouse that can handle the childcare, according to Cech’s research. Despite the shift in what modern fathers may want, studies show that even as men and women both value equity in childcare and household duties, men are still doing less childcare than mothers. Part of the disconnect is just that it takes time to change such deeply entrenched norms. What parents want is still at odds with that the workplace is providing. It starts with family leave. The US is the only developed nation in the world that doesn’t mandate some kind of paid family leave for parents. As a result, only 15 percent of employees in the private sector have access to paid parental leave, according to the most recent Bureau of Labor statistics. But studies have shown that fathers who take two or more weeks of leave are more involved in child-rearing throughout their children’s lives. Ohanian preaches that paid family leave helps mothers, fathers, children, and companies. And he’s on a mission to advocate for paid leave for all, not just full-time tech employees. Recently, he partnered with Dove+ Men’s Care to be spokesperson for its program to provide small grants to new fathers who would otherwise not have access to paid leave benefits. Dove’s initiative is great, but the only comprehensive solution to the access problem is a national law. While the Family and Medical Leave Act, enacted in 1993, protects employees covered by the law to take up to 12 weeks of unpaid leave, many Americans say that’s not enough. Democrats have been trying to pass the Family and Medical Insurance Leave Act, or FAMILY Act, since 2013. The FAMILY Act would create a national insurance program to support maternity and paternity leave, as well as paid leave to care for a sick family member, for both full-time and contract workers. The bill was introduced again this year, and representatives are debating it Thursday. Though people have wanted such a program for a long time, advocates say they feel a real shift toward change. If the FAMILY Act passes, it will bring the US into line with the rest of the world, and go a long way toward supporting new parents at the very beginning of their sleepless parenting journey. But a single initial period to bond with your infant isn’t enough to make modern work life compatible with parenting. You’re in charge of your kids for at least 18 years, after all. To be truly supportive of families, organizations also need to provide flexible schedules and childcare benefits. That point was made clear this week when Bloomberg reported that a group of 1,800 mothers at Amazon (the self-described Momazonians) launched a campaign to convince Jeff Bezos to offer a backup childcare program for workers. Backup care allows parents to avoid missing work when their kids were sick or their regular childcare was unavailable. They can be arranged through websites like Care.com or Urbansitter, or national childcare centers like Bright Horizons. Amazon already offers discounted rates at daycare centers, and paid family leave for employees, but even with those “perks,” employees are often left in the lurch when childcare falls through. The Momazonians argue that this leads women to leave Amazon, because the workplace culture isn’t understanding when they have to miss work because of illness or lack of childcare. That retention problem also hurts the company’s bottom line. Beyond even childcare, STEM employers can help parents by also providing ways back into the workforce after they leave, says Cech. Many women who leave STEM jobs when their children are young find that it’s very hard to ever get back in. Even if their skills are still perfect for the job, the hole in their résumé is a liability. And for some STEM professions, coming back is harder than it would be in other fields—parents may have missed the window for tenure, if they are professors, or need new training in order to get licensed again, if they are doctors. STEM fields also change so rapidly that people can feel left behind after only a few years away. Through his VC firm, Ohanian has funded The Mom Project, a career placement site that, among other things, matches mothers with short-term jobs that can serve as on ramps back into the workforce after they have left to raise kids and now want to return. iRelaunch is another organization that helps men and women get back into STEM jobs after a break. Cech applauds innovative solutions like those, and would like to see universities, organizations, and even trade groups create more programs for bringing people back into the workforce, perhaps through training or part-time work. And above all, STEM organizations need to accept that their employees have lives outside of work. Embracing that and helping families juggle work and the rest of life will help everyone.